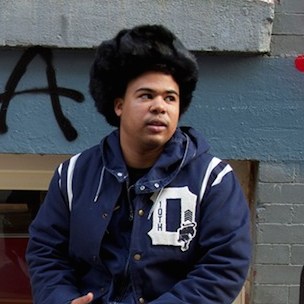 Atlanta upstart ILoveMakonnen said he’s working on a rerelease of his June project I Love Makonnen EP. 25 year-old Makonnen Sheran caught up with HipHopDX after his September 27 show at Jewel’s Catch One in Los Angeles, CA. The EP, which features the viral hit “Club Going Up On A Tuesday,” achieved national attention when Makonnen received co-signs from the likes of Miley Cyrus and Drake. When Drake released the official remix “Tuesday,” ILoveMakonnen earned the attention of Hip Hop radio. In late August ILoveMakonnen was signed to Drake and Noah “40” Shebib’s OVO Sound imprint, which is distributed by Warner Bros. Earlier in the week, Makonnen performed at two LA area stops on the Drake Vs. Lil Wayne tour. He was filling in for YG who was barred from performing by the LAPD. Makonnen’s single also has inspired a remix by other acts, including Game.